Where’s my medal… and t-shirt? Extreme weather will always see races cancelled and this results in a lot of disappointed runners. For some its simply missing out on racing after all of the training, while for others, it’s the bling and t-shirt. The recent two spells of wintery weather in the UK resulted in numerous races called off, this included half marathons in Bath, Fleet, Wigan and Reading – to name a few. Runners’ reactions on social media varied from reasonable and understanding to downright ranty. So why do race organisers pull the plug? Unfortunately, it isn’t just a case of whether the course itself is clear of snow and ice. 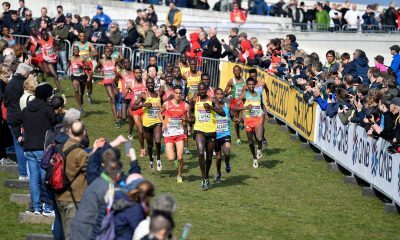 Big races depend on a huge infrastructure of transport links, volunteers, emergency services and portaloo providers and a judgement call has to be made about whether any of those aspects will be adversely affected. Can the runners and volunteers safely travel? Are the car parks gritted? Is it safe for volunteers to stand out in sub-zero temperatures for six hours while they wait for the guy who’s walking the race backwards on stilts? 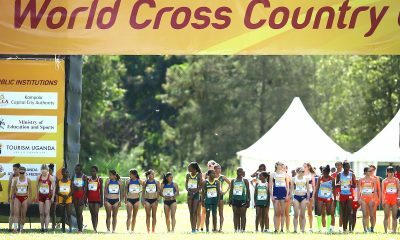 Cancelling a race is certainly not something any race organiser would take lightly as all stakeholders in the race – organisers, charities, sponsors – are probably going to lose out in one way or another. It’s also very hard for bigger races to postpone, rather than cancel, because road closures and licenses will have been agreed months in advance, and it’s very tough to reschedule that. It’s understandable that runners get fed up when their race is cancelled. They’ve sweated for weeks or months in the training for it, then tapered to try to peak on that particular weekend. As well as the training it’s likely that you’ve made some sort of financial outlay, such as travel or accommodation, as well as the race entry, which let’s face it, isn’t cheap for some of the bigger events. Now, what do we do when we’re angry in 2018? We turn into keyboard warriors on social media! Let’s take a look at the most common complaints. Why don’t I get a refund? Most of the costs of putting on a race are sunk costs. That is, they’re spent and they can’t be recovered. Aspects like portaloos, road closures, medals, t-shirts, medical support, police, food and water for aid stations and car parks are ordered and paid for months before race day. Race insurance may cover certain aspects but in the case of ‘circumstances beyond reasonable control’ such as the weather, it’s often down to the terms and conditions of the race as to whether you get anything back. Bath Half did offer a refund when it had to be cancelled earlier this month for the first time in its 37- year history. Race Director, Andrew Taylor explains: “It was a very hard decision [the cancellation], but in the end we had no choice. Some of our key contractors and suppliers were unable to guarantee essential services to the event. “Local residents didn’t have sufficient time to move their cars off the course route, public car parks and park and ride services were snowbound, our local emergency services were struggling with a major incident, and the weather forecast was for unsafe conditions underfoot for runners and bitterly cold conditions for volunteers. 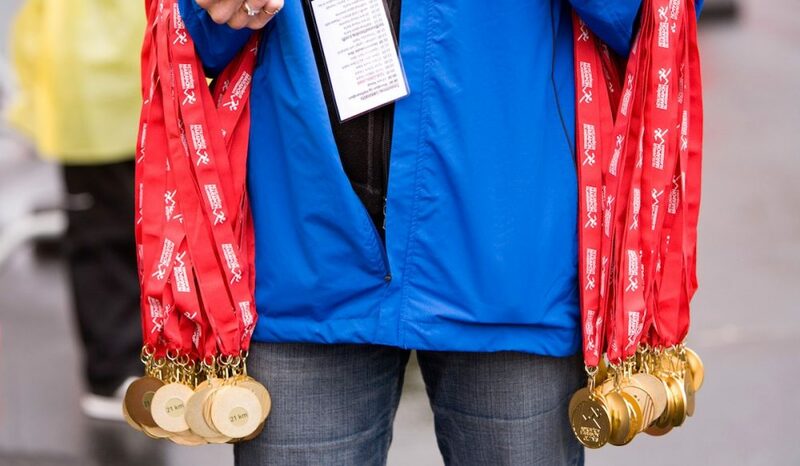 “After the decision to cancel, our management team and advisors carefully and quickly considered the implications of each of the options in front of us, and how best to communicate the outcomes – such as how to manage the refund process, what to do with finishers’ medals and t-shirts, how to encourage runners to continue fundraising for their charities, how to ensure clarity and consistency in our messaging, above all ‘keep it simple and keep it clear’. So has Bath set a new bar for organisers when races have to be cancelled? It should be noted that despite the cancellation the race has so far raised £1.2 million for charity. Runners could also donate their entry fees to the Bath Half Marathon Community Fund, which distributes grants to local charities, instead of receiving a refund. Why don’t I get my medal? Now, there’s a simple answer to this one: you didn’t run the race. There seemed to be a huge outcry on social media about this when Reading Half was cancelled. To try to counter the angry runners who wanted their medal Reading Half actually offered the facility to pick up your medal and t-shirt from the venue. 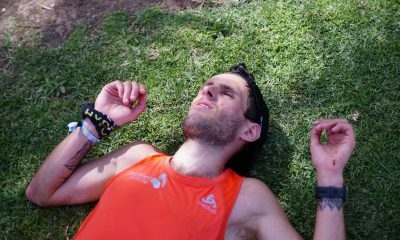 Streams of runners did this, while many others complained that the organisers wouldn’t post them out. 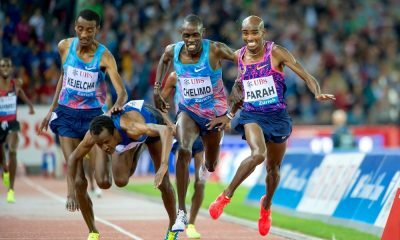 I just cannot fathom why anybody would want a medal for a race they haven’t run. OK, it’s absolutely not their fault that it was cancelled. You may, or may not, have done the hard bit in training and missed out on the fun bit of the actual race. But would you really want to hang that medal up at home as a reminder of an event you didn’t run? The assumption seems to be that because you’ve paid for it, you’re entitled to it. But surely the medal is your mark of having completed it, not having entered it. Maybe if we reverted back to medals for podiums only? To be fair, some disappointed Reading runners did actually go out and run 13.1 miles at home or on a treadmill and felt that this earned them a medal. www.virtualrunneruk.com offered you a Reading medal for an additional £12 if you completed it virtually. Though I’m sure plenty of people just had some breakfast, then walked to the race HQ to get their medal. They probably wore it on the way home. When people couldn’t travel to the Big Half in London due to another bout of snow at the start of March they set up an organised virtual Big Half Challenge on Strava, sending medals out to runners who’d completed it. But that was a co-ordinated virtual challenge which the organisers could easily monitor, lots of runners on Twitter saying they’ve done 13.1 miles is harder to keep track of. There was a similar outcry about runners wanting their race t-shirts. First the fact is that approximately 99% of the race t-shirts are one-size-fits-all (with that size being ‘world’s strongest man’ competitors). I can’t see why anybody would want to wear a t-shirt for a race they haven’t done. It’s like people who go to Tesco and buy Team GB kit and then parade around in their gym in the hope of being mistaken for a member of the GB squad. I guess it all comes down to why you enter a race in the first place. Is it not to pit yourself against your fellow athletes and the clock? Is it really just to get some race bling and social media kudos? Maybe it’s a good thing that more runners are getting more passionate about showing off the spoils of their run if it’s a motivator. Are we starting to adopt more of the American culture where the streets of New York or Boston are full of people proudly wearing their marathon race medals with their normal clothes the day after their marathon achievement? 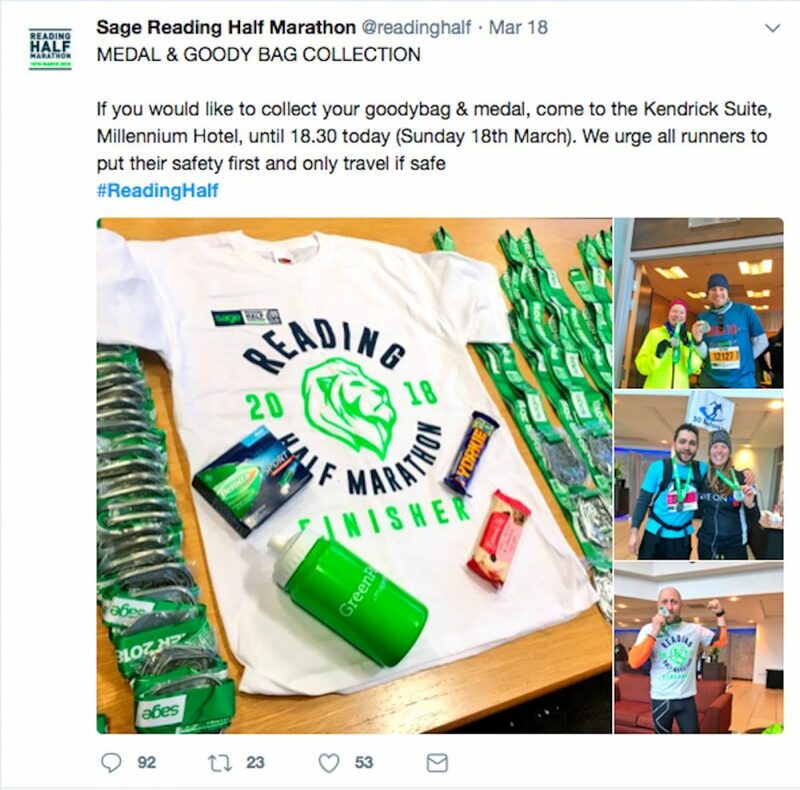 Is this social media anger not because race cancellations have left them out of pocket, but because they’ve robbed runners of their moment of glory – their perfect post-race selfie with medal and t-shirt? It’s got to feel hollow to take that photo for a race you didn’t run. But it won’t stop some.